(2 Pack) NIVEA Care and Orange Blossom Moisturizing Body Wash 16.9 fl. oz. Experience the shower sensation and energizing scent this nourishing NIVEA body wash gives you and your skin. This silky cream-gel with nourishing bamboo essence gives you incredibly soft skin while cleansing very mildly. Its indulging intense lathering formula is enriched with energizing orange blossom scent to awaken your senses. Formerly known as "NIVEA Care and Happiness Moisturizing Body Wash". You may recieve either product depending on availability. I love this body soap from Nivea, the scent is beautiful and it makes my skin feel so soft! The scent lasts long on my skin. Very happy with this product! I love Nivea Touch of Happiness. It smells so good and makes your skin feel so smooth. It is a great product. 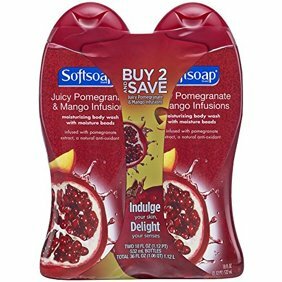 I love this body wash and won't use anything else; however, it is becoming difficult to find it in the stores just like Touch of Happiness did before they stopped making it. If they still made it, I would be using that instead. Hopefully, they won't stop making this one, too. The good ones always get taken away. Love this product. It's a scrub soap that's mild so doesn't dry the skin.